This comic is pretty zaney! Formspring is also zaney. People mostly ask me questions that don’t make any sense. It’s fun. As much as this is funny, this is also very true. 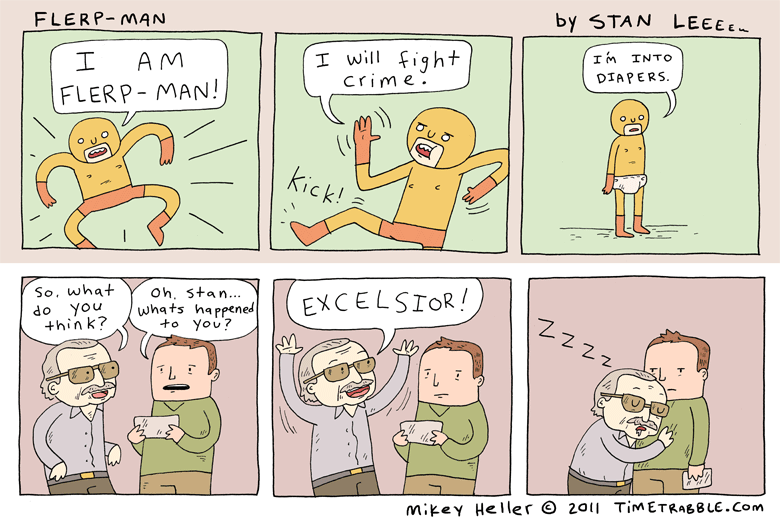 Stan Lee’s comics have become so stale and rehashed. He just isn’t the same anymore and niether are his comics. If you need proof, look up Time Traveller and Solider Zero. Man. That comic is so new. Hey Mikey, congratulations on hitting 1000 Facebook fans. Goeber.com still hasn’t improved their post quality. I’m amazed and ashamed.